I will be travelling to the US soon and for that I obviously need a proper credit card, because Americans love their plastic money. I already own a credit card but I am a little bit confused, because the magnetic stripe seems to be just plain black paint with blocking number of the bank written in the middle without any actual function (I could be wrong). This fits to my research where I learned that in the EU the chip-and-pin verification is almost the only acceptable system. In the US however. I learned that they still widely use the older and far less secure swipe-and-sign system. I also learned that there is a difference between credit cards and cards coupled with your bank account called VISA debit cards (not to confuse with the normal bank card used to withdraw money and such). When I asked my bank support the reply was (translated from German): technically your Visa card is set up as a "deferred debit", this fulfils the requirements to be a credit card. Are European credit cards still capable of the swipe/sign system used in the US? And can I use the "deferred debit" card just like any other credit card used by Americans? e.g. Rent a car, hotel rooms etc. Can I use Swipe/Signature with German [VISA] credit card? Your network must be supported. VISA and MasterCard are OK, but sub-things like Cirrus may not be. This is more of a problem with Americans traveling to Europe (American Express and Diners Club are much less frequently accepted in Europe). Your bank will probably have anti-fraud technologies in place which will alert your bank to suspicious actions, like charges made in the US when you have never traveled outside Germany before. Can I use a Deferred Debit Card like [an American] Credit Card? Yes. You will be asked "Debit or Credit"; do try "Credit" first. I have often noted that "Debit" will not work on my "deferred debit" cards. Credit may be a simpler operation, just relying on the VISA / MasterCard guarantee that the operation is OK, while Debit will try to contact your (German) bank. the stripe is still present and functional on all the European cards I have seen. It has happened to me several times that my stripe has become de-magnetized, and while the card in question would continue to work perfectly in chip-n-pin situations, it failed consistently in situations where you insert your card wholly in the machine, to wit: ATMs and highway toll booths. Your credit card will normally operate as a normal credit card in the US. At some places, you will come across older terminals that are unable to read a chip (such as parking meters and at smaller shops). If indeed your card does not have a magnetic stripe, then it will not work there. I doubt that it does not have a magnetic stripe, however. You may call ask your bank if that is really the case. It may simply not be visible because it is printed over. Your card will be able to use a "swipe and sign" operation mode if and only if this is stored as a possible mode of operation on the card. Your bank should know if that is the case. The merchant also has to support signing for a transaction (which for example vending machines do not). Terminals that are unable to read chips are becoming less common in the US nowadays, given that major banks in the US started to issue cards with a chip a few years ago. Chip readers are becoming more common in the U.S., so that should not be a problem for you at most larger stores & hotels. ATMs, gas stations, many smaller retailers, and mobile payment systems still mostly require swiping a magnetic card. You are often given the option to select "Credit or Debit" after swiping the card. Which one works can be inconsistent. Try "Credit" first and see, and if it fails try "Debit" and enter your PIN. Businesses that don't take cards will usually have a sign saying so. Most will also post a "Visa" or "Mastercard" (Maestro) sign on the door or near the checkout indicating that they accept those cards (either debit or credit). If your card has a "Visa" or "Mastercard" logo on it, and your bank is aware you're traveling internationally, you should be fine using it to make whatever purchases you need in the U.S. Your bank/card might require inputting a PIN for each transaction. That's typical of debit cards in the U.S., but not credit cards. Obviously, ensure you have/know the PIN before traveling. Do be aware of the exchange rate though, as well as any "international transaction" or currency conversion fees your bank charges, as those would be in addition to the U.S. dollar cost of your purchases. In the U.S. a "debit card" transaction removes the funds directly from your bank (checking) account, usually within 24hrs if not immediately. Same as writing a paper check, or withdrawing cash from that account to buy something - it requires that you have adequate funds in the account at the time of purchase. A U.S. "credit card" accumulates all the charges during a 1-month billing cycle, at which point you pay off all or part of the balance from some other account. These cards/accounts do not require you to have funds at the time of purchase - you just need to pay the card off eventually, usually at a substantial interest rate. You can use either kind of card to make most payments in the U.S. Again, if you have any type of "Visa" card, you should be fine. The German system is kind of a mix of the above - all charges accumulate over the course of the month like a credit card, but then you automatically pay off the balance when the bank deducts funds from the same connected account, like a debit card. So "deferred debit" is a pretty accurate description. (In the U.S. this is similar to a "charge card," of which "American Express" is about the only example around - it's not as popular or as accepted). The key issue is that if you don't have adequate funds in the account to cover all the charges, you could be in trouble. Whether the card/bank would decline charges that exceed your available account balance, or if they'd charge you overdraft fees/interest is up to your specific bank. I will give an answer based on experience with Italian credit & debit cards. Last June I was in the US for vacation. I brought with me a MasterCard debit card, which should be equivalent to the debit card that you have, and an actual credit card. Contactless debit cards can be tapped without problem, but in EU we generally have lower limits like 25€ instead of 100$ as american cards so it is hard to use in places like restaurants for example. Also: if you use a contactless card to pay for a restaurant they will often try to tap it which will result in a rejected transaction and they asking you for a different card. You should instruct them to swipe the card instead (occurred to me several times). I almost never used cash for one whole month, so if you have two MasterCard debits/credit cards you should be good to go. One thing: check that your card is enabled to be used in that region! Some cards need to be enabled, others are enabled by default ad might be disabled and others simply do not work outside EU. you should find this information in the papers you signed when you got the creditcard and in your online bank account somewhere. The same is true for Canada, even though I noticed they used much more pin-and-chip than the US. stores accept only the "stripe" method. It is so commonplace that there are typical solutions to indicate "chip doesn't work in this reader" - there's a sort of plastic sign retailers can buy that clips in to the "chip" slot, stating, "Chip not available - use the slide!". If you don't have a "stripe", you're screwed. Regarding whether your card actually has a stripe or not, I have no clue. Perhaps ask the bank (but it's extremely likely the person you ask would be uninformed and not have a clue). Yes probably, but bring US cash. Money in the US can be odd. Many places will not take a check, have restrictions on cash they will take, and require "plastic". Our "recent" switch to chipped cards has not made things better. Card Reader - Square and the like, where the readers don't store data but process and store transactions. Your card may work for some, but not all of these methods. I would suspect that it does work, based on your description. In addition to that, it's up to the merchant, but it is not uncommon for cards that can't be read one way or another to be processed as "Card Not Present". Keep in mind this has higher rates and risks for the merchant so not everyone will do it. Furthermore, you need to speak with your bank about how funds are processed. Most US merchants only accept US $. If your bank account (or credit account) is tied to another currency you could end up paying fees for each transaction. The merchant would never know. For example, you could pay $7.50 for each transaction on top of whatever the transaction is. so a $0.25 pack of gum is now $7.75 due to banking fees. Also of note is that some places, mostly Car rentals, and Hotels, but there are others, will only accept credit cards and not "debit" cards. You may have some extra troubles at these places. One last odd rule, cash IS NOT ACCEPTED EVERYWHERE. There are plenty of limits on bill sizes, change provided, maximum amounts, and other things that are location (region, state, city whatever) dependant. It's very common to see signs like "No bills larger than $20", "Exact change only", "No change over $10" etc. It's also possible that stores don't accept plastic for less than a certain amount. Some places don't accept cash at all. I recommend that you bring $110 in 4 $10, 2 $20, 4 $5, 10 $1, in addition to your card. And be ready to replace that money from a bank or ATM that you can access. Your bank has the final answer to will my card work in USA? question. Ask directly and get answer specific for your case. Even if the magnetic stripe seems like a coat of inked plastic, it should still show magnetic feature (my own card looks the same but is silver, and swipes like a charm). That is just related to how modern cards are factored. First, make sure the circuit your card belongs to is supported in your visiting country (see my first phrase). For example, Maestro cards displayed in the same fashion as Mastercard are not Mastercards, and same for V-Pay. I had spoken confirmation by my bank that I can't use a V-Pay card in certain countries outside of EU and must use a Visa/Mastercard/AMEX for those. V-Pay may work in USA according to my bank. Now about the swipe&sign. In order to enforce chip transaction in EU, all merchant banks are required to reject swipe transactions even if the POS machine has a magnetic hardware. I am not sure how, and I need to ask on Security SE, but I think that a card factored without a chip and issued on a non-EU country can be identified by the POS machine so the swipe is allowed. No single bank in EU issues non-chip cards to their customers. All have been replaced. A number of EU Customer banks enforce geocontrolling on their cards, so that transactions are blocked by the time they are issued in order to prevent a common fraud: your card is swiped in EU territory and its magnetic payload sent via internet to subjects outside EU who will encode the magnetic stripe to a dummy card and swipe it. I know a victim. You may have to call your bank and ask them to allow payments in USA by the time of your visit. Your German "Maestro" debit card may well work too in ATMs, but you must first unlock it for use outside Europe for the duration of your trip, and bring it. The magnetic stripes on my cards are gold and blue, I have no doubt that they will work. Life in the USA without a functioning credit card is hard. You can raise the limit of your credit card simply by transfering money into its account. As long as the balance is positive you'll get a discount on the fees for cash withdrawals from the ATM. You may need a high limit for reservations made against the card: hotel, car rental, hospital bills, bail. This is an essential feature ! These reservations, if not used, will be cancelled within 2 weeks or so, but meanwhile they do eat into your credit limit. Once you reach zero, you'll go hungry until the end of the month. Be prepared for a phone call or (e-mail) message from Visa if it is really you spending the big bucks, or has your card just been stolen ? Not responding might mean that they'll block your card just to be on the safe side. Be reachable. Always bring at least 2 cards, preferably different brands. If one gets stolen or blocked or depleted or refused then at least you can continue living. You may be offered the option to pay in Euro or Dollars. Paying in local currency is usually cheaper for you, but then the final amount in Euro will be a surprise. Credit cards should be no issue. They usually work world wide. Your bank card could cause issues though. Make sure it is working with a VALID network. 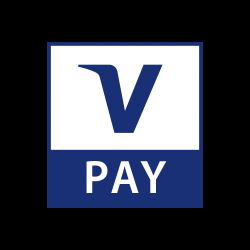 My Bank (Comdirect) changed their bank card a few years ago and removed the international support for the US (they removed maestro and replaced it with "V-Pay" which works mostly in europe - but failed in the US). The Visa card from them are fine though. As others mentioned, security deposits can stretch your limit on the card. Hotels charging weeks worth of "complete mini bar raids" or car companies requesting securities for your rental can add up very quickly. You might inform your bank about your new travel if you never went aboard. The system might catch it as an unusal transaction and cause your card to be blocked, which can be a PITA. Not the answer you're looking for? Browse other questions tagged usa money payment-cards central-europe or ask your own question. Will my “online chip & pin” Visa card work at Swedish ticket machines?